Fieldnotes provides a new opportunity for professionals to discuss and share their research. Fieldnotes is a feature of the AIA website aimed to better serve our professional and student members. It is a user-driven source of information about current trends in the discipline, as well as a venue for presentation and discussion of new directions in the field; methods and methodologies; and institutional funding, research programs, and teaching resources. Both individuals and institutions are encouraged to submit short articles, field reports, announcements, news items, and links to digital resources that are relevant to the professional and academic membership of the AIA. 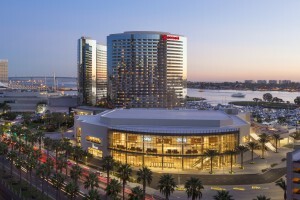 The AIA invites archaeologists and scholars from related fields to submit an abstract for inclusion in the 2019 AIA Academic Program of the Joint Annual Meeting of the AIA and the Society for Classical Studies in San Diego, California Jan. 3–6. The spring deadlines for colloquia have passed. The Program for the Annual Meeting Committee will accept workshops, open session paper and posters submissions, and any provisionally accepted colloquia and workshops that are resubmitting for the deadlines of August 5 or 19 with $25 fee. Please see the Call for Papers for full details. 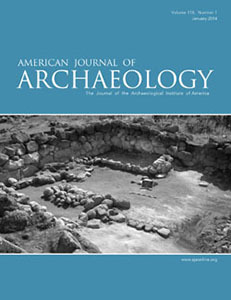 The American Journal of Archaeology is one of the world's most distinguished and widely distributed archaeological journals. It was founded in 1885 and is a leader in groundbreaking articles on archaeology and thoughtful book and museum exhibition reviews. The AJA is published quarterly and is available in both print and electronic formats. Visit www.ajaonline.org/about for more information. Professional and student Members of the AIA, along with Corresponding Members, are the core of the Institute. Membership is required to apply for fellowships and grants, utilize the placement service, and present at the Annual Meeting. The AIA continues to look for ways to help support the archaeological community. AIA Members have created Interest Groups focusing on specific issues and topics in archaeology. These groups provide a forum for discussion among students and scholars. 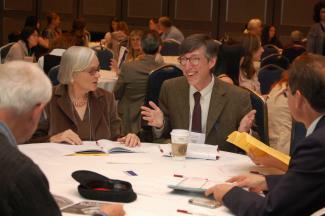 The IGs also meet each year at our Annual Meeting and often propose papers and sessions to the Program Committee. AIA is a sponsoring organization for the Register of Professional Archaeologists.